On Saturday the Arab League, best known for tea sipping diplomats and rambling diatribes, will officially suspend Syria in reaction to the Assad regime’s continuing campaign of brutal violence against the uprising. Referred to as an ineffectual talk shop, it has long been happy to ignore violence and abuse in pursuit of the elusive goal of “Arab unity”. But this year an unusually active League has finally stood up to some of its member states’ more heinous crimes. First regarding Libya, when its call for a no-fly zone helped pave the way for NATO intervention, and now the threat of suspension for Syria. An extra 3 days was granted to the Assad regime on Wednesday to implement the terms of the November 2 deal, whereby the regime would stop its brutal onslaught, pull out the military from all cities and open up the country to foreign journalists. Assad’s consent to the deal surprised many, especially as compliance would inevitably have led to his downfall. But even the disparate and fractured opposition could agree here: Assad was merely stalling, buying himself a bit more time. 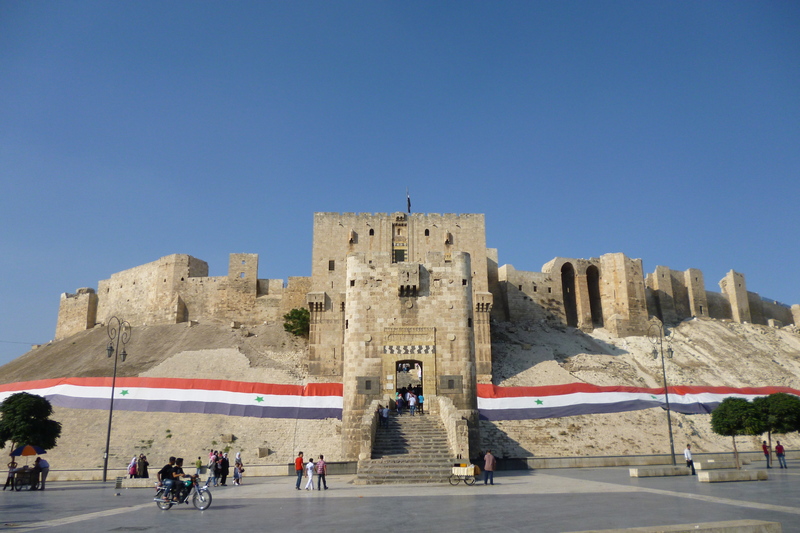 After several months confined to the city of Damascus I recently decided that it was time to travel to the northern commercial centre of Aleppo to see how the uprising had affected Syria’s second largest city. While the road and the towns along the way held plenty of evidence of the 5 months of protest and brutal crackdown, Aleppo, like much of Damascus, remains in comfortable denial of the thousands of deaths throughout the country. Along with a partner in crime, I headed north from the Harasta bus terminal in an air-conditioned Pullman coach. The bus quickly escaped the polluted suburbs of Damascus and after being waved through a makeshift military checkpoint we were out on the open road, surrounded by rocky desert and scraggly bushes. After a couple of hours we knew that we were approaching Homs by the increasing number of military trucks on the road.